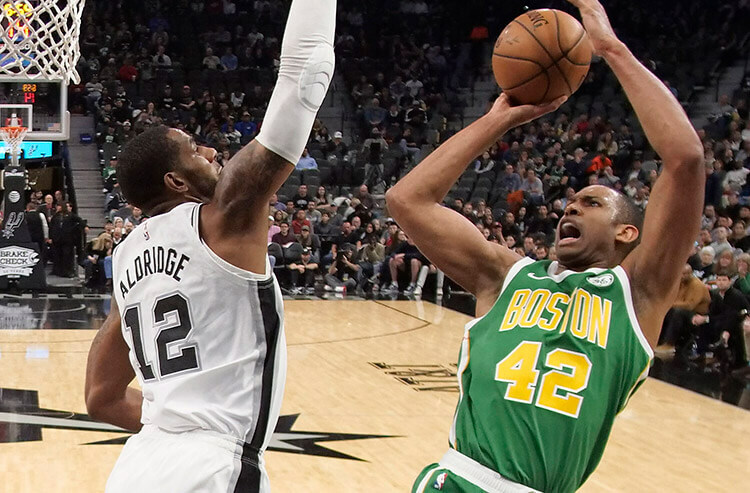 Al Horford and the Boston Celtics are hoping to ride their home-court success to a win against LaMarcus Aldridge and the San Antonio Spurs. Two teams that need to stop their free-fall meet Sunday evening in Boston, as the host Celtics look to end a three-game losing skid as they play the San Antonio Spurs. 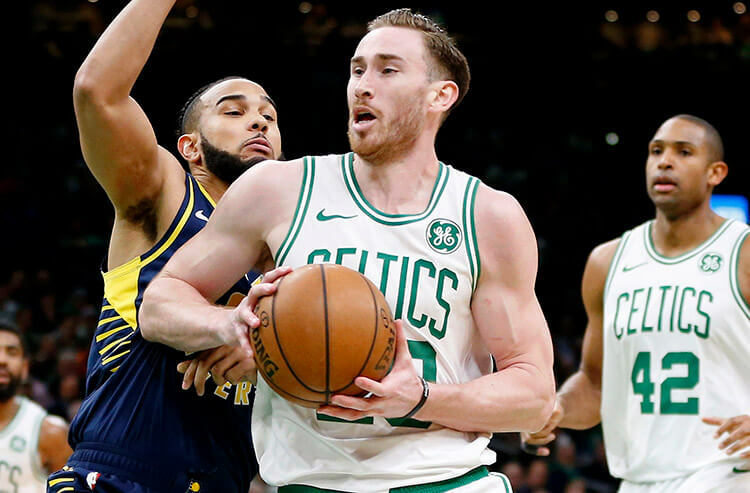 Boston has all but assured itself a top-five spot in the Eastern Conference, but securing home-court advantage at any point in the playoffs is slipping away after the Celtics dropped a 124-117 decision against the Charlotte Hornets on Saturday night. The Spurs, meanwhile, have lost consecutive outings following a nine-game winning streak, and are coming off a 111-105 setback at the hands of the rival Houston Rockets. Both of these teams know how to keep teams off the scoreboard in the opening quarter. The Celtics enter Sunday's matchup having held opponents to just 25.8 first-quarter points per game, behind only the Memphis Grizzlies, Orlando Magic and Utah Jazz. The Spurs have also proven to be equal to that task, ranking just outside the top 10 in first-quarter points allowed so far this season (27.3). And in the first meeting between the teams in San Antonio on New Year's Eve, they combined for just 40 points in the opening 12 minutes. We like the first quarter to be another defensive clinic. This game being close to a toss-up makes choosing the first half moneyline winner a lot easier, since you're essentially narrowing down your choice to which team you believe will be ahead at the break. And that's there the Celtics have a considerable edge, San Antonio's recent red-hot streak aside. Boston comes into this one with an average first-half scoring differential of +4.4 at home – and even in its previous three losses, it has a +3.0 first-half margin over that span. San Antonio is a -2.9 in the first half on the road this season, and -2.6 in its past three. We recommend taking the hosts to lead at the break. Teams producing the highest-scoring quarters predominantly play at home, which gives the Celtics a bit of an edge here. That was certainly the case in the first meeting between the teams, when the Spurs rode a ridiculous 46-point third period to a narrow win. The Celtics have been the better big-score team of late, with four 30-point quarters in their previous two games, including a high of 39 in the first quarter of a 118-115 loss to the Philadelphia 76ers. Factor in home-court advantage with the Spurs' modest output of late, and Boston represents decent value as the team with the highest single-quarter tally. 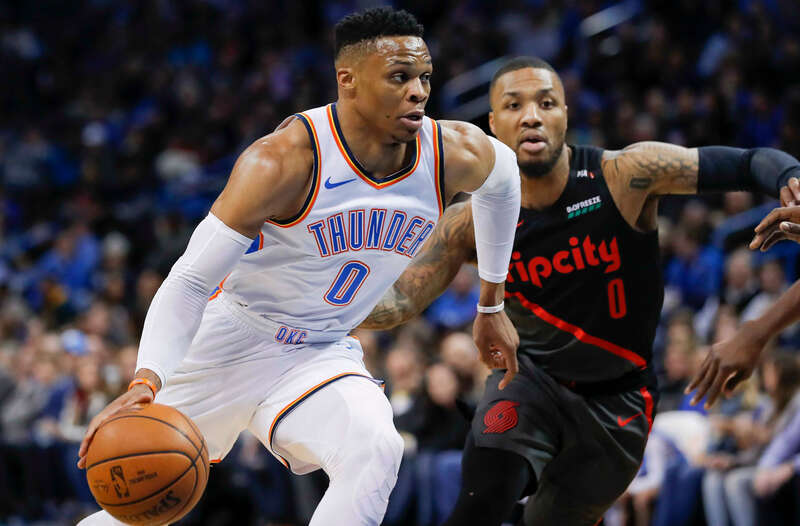 These teams have found a way to confound oddsmakers, who often anticipate more of a defensive battle. Granted, the previous meeting started out that way, but wound up as a 121-116 San Antonio win that extended the teams' head-to-head Over streak to six games. That said, while the Celtics are 6-1 O/U in their previous seven games, the Spurs have cashed the Over just twice in their last 12. And while their last meeting was a comfortable O217.5, their previous five Overs produced an average of just 208.6 total points. With the total for this on a sky-high 220, we like the Under. The Celtics haven't looked nearly as good as experts suspected they would prior to the season – but this is the NBA, where even the worst teams in the league are more than capable of protecting their own court. Boston is a red-hot 26-11 SU at home with an average scoring margin of +8.1 at TD Garden; and while they've failed to cover in four consecutive home games, the narrow spread on this one means they don't have to do much more than secure the win. With the Spurs just 13-23 SU on the road and 3-7-1 ATS in their previous 11 away from San Antonio, this is a good spot to take Boston to cover.